Enjoy on horseback! Once they pick you up the adventure in history and nature begins, starting with the Quepos Indians and leads you through the changes of Manuel Antonio today. 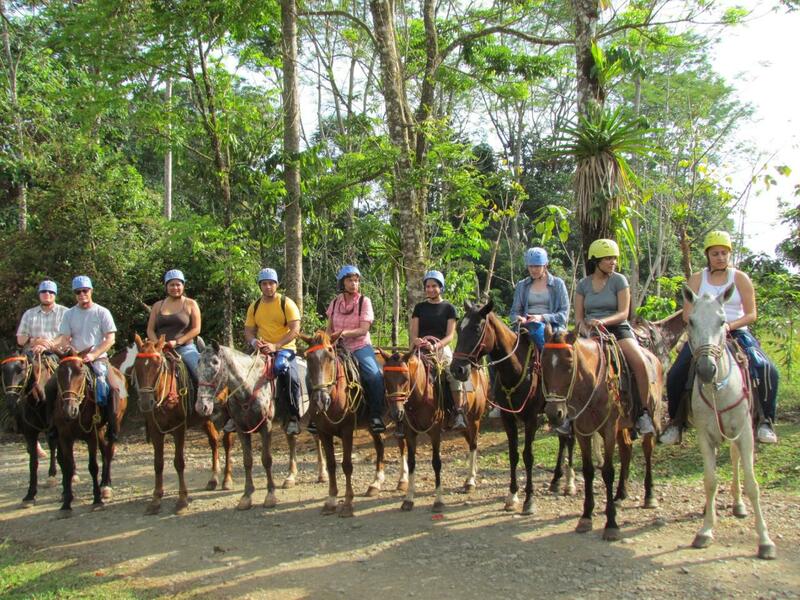 Enjoy learning about Costa Rica’s exotic plants and rare wildlife as you ride through the tropical jungle and private ecological reserve at Tocori, just minutes away from Manuel Antonio. 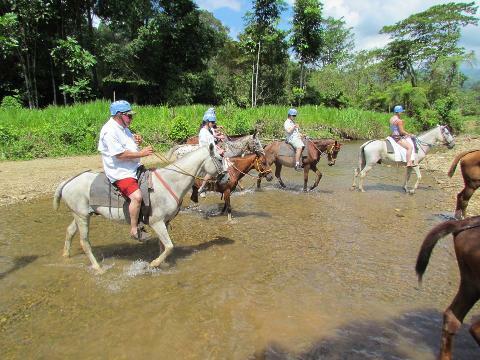 After a relaxing hour-long ride on horseback through the tropical rain forest – with the pace determined by your comfort level and riding ability – leave your horses on the trail as Don Gilberto or his daughter Dyala guide you through the exotic plant and animal life on a nature walk. 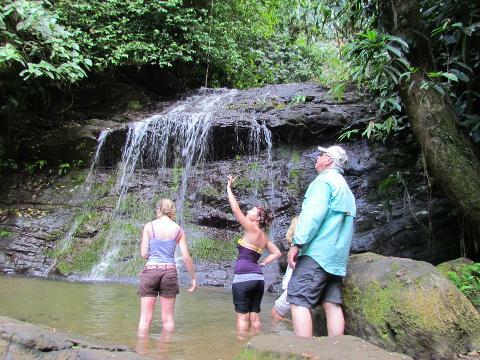 They will let you taste, smell, touch and observe first hand the real Costa Rican jungle. After indulging your mind and spirit with expert knowledge, take a refreshing dip in pristine natural mountain waters while being splashed on by two stunning waterfalls at Tocori. 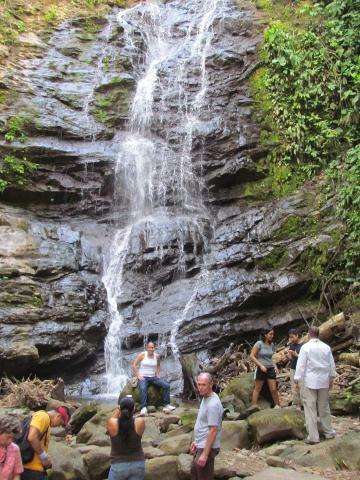 And don’t forget to enjoy an unforgettable taste of local fresh fruits and a homemade special tropical drink made exclusively by Doña Eli, Don Gilberto ́s wife, all while you relax and cool off next to the waterfalls. 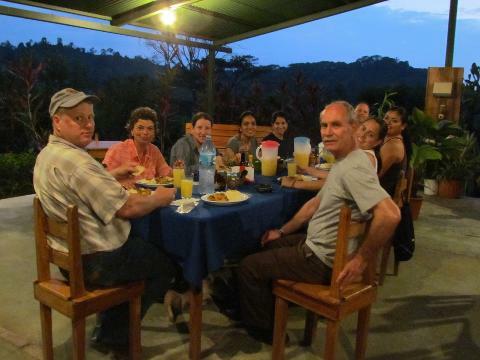 After being refreshed, you are ready for a ride through meandering Tocori streams to the private Rancho where Doña Eli will be your hostess as she shares with you a homemade Costa Rican “casado” – a typical Costa Rican dish or terrific BBQ. Enjoy more of the tastes and flavors of Costa Rica as you sample delicious delicacies of the tropical rain forest and of our fresh, local Costa Rican produce. As Don Gilberto says, “Come and taste the flavors of our country.” Before returning to Los Senos Marriott Resort, enjoy one last relaxing experience enjoying the bounty of Costa Rica at the Rancho. Let Don Gilberto or Dayla show you their private herb and plant garden as they help educate locals and visitors alike on how to preserve the indigenous plant and herb varieties of their beautiful country. While you are there, ask how you can help preserve the tropical rain forest and educate others about the true beauty and biodiversity of Costa Rica. After Don Gilberto and his family have hosted you at their Rancho, you will have grown in your experience and knowledge of our beautiful and unforgettable tropical country, Costa Rica. But as Don Gilberto always says, “When you come back, you will have a friend.